English (Traduisez ce texte en Français): Southwest side of the island, off Tanjung Pandan point. Southwest side of the island, off Tanjung Pandan point. 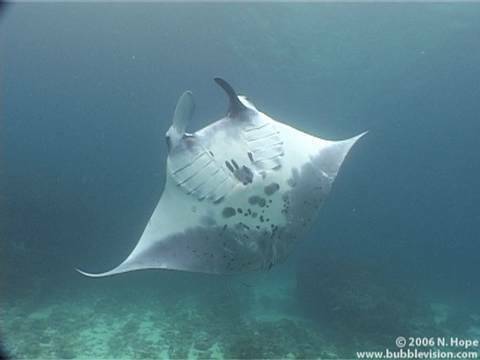 English (Traduisez ce texte en Français): Manta Point is a diving site with gray reefs, reef white tips, silver-tips and numerous sharks. While Penida Bay is another anchorage, and the rocky islands have an interesting forms; something like an old resting elephant. The bay is vulnerable to swell, creating-up-and-down-currents. Then, Manta Point is a limestone rock off Pandan cafe. The swell is relatively strong. 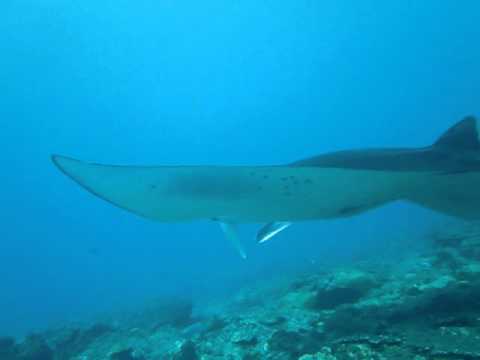 Manta Point is a diving site with gray reefs, reef white tips, silver-tips and numerous sharks. While Penida Bay is another anchorage, and the rocky islands have an interesting forms; something like an old resting elephant. The bay is vulnerable to swell, creating-up-and-down-currents. Then, Manta Point is a limestone rock off Pandan cafe. The swell is relatively strong.